California Single Ply, Inc. specializes in installing Single Ply Membrane Roofing for New Construction and Re-Roofing projects, along with maintaining the life of your roof with a Roof Maintenance Program. Our projects involve both the Private and Public Works Sectors. 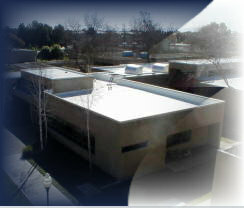 Our employees are highly qualified, experienced, and dedicated to installing a superior roofing system for our clients. We have worked with many of the areas well known Architects and General Contractors on new construction projects. Whether you need the existing roof torn off, or just a re-cover, we can do the job without disrupting your business! Extend the life of your new roof and stay in compliance with your Manufacturers Warranty by allowing us to maintain your roof investment.